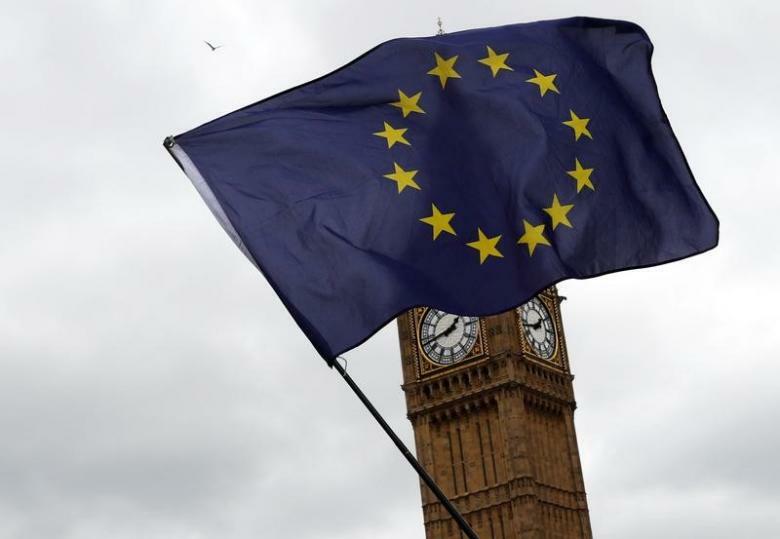 A European Union flag is waved in front of Big Ben outside Parliament after Britain’s Prime Minister Theresa May triggered the process by which the United Kingdom will leave the European Union in London, March 28, 2017 [Image: Reuters/Stefan Wermuth]. With whom do you think Michael Howard should threaten war over this aspect of Brexit? Trade agreements default to World Trade Organisation rules if no deal is reached between the UK and EU countries to modify those rules – but aviation has no such option. So, if the UK wants to maintain its tourism trade with other countries, there will need to be talks – and the UK will be at a disadvantage. Britain should aim to secure visa-free travel between the UK and the European Union in upcoming negotiations to leave the bloc, an association of travel agents said on Tuesday, adding that a transitional deal could also help the sector. Britain formally began its divorce from the European Union last Wednesday, and airlines have demanded that their sector is prioritised in the forthcoming two years of negotiations to ensure there is no disruption to flights. The Association of British Travel Agents (ABTA) said the maintenance of visa-free travel between the EU and UK after Brexit was among its key priorities. Other goals for ABTA included the protection of Britons’ ability to travel freely to Europe and beyond and safeguards for consumer rights, as well as stability and growth opportunities for British businesses. Unlike trade arrangements, which will default to World Trade Organisation rules if no deal is reached, the aviation sector has “no international fall-back option,” the ABTA report said. wouldnt surprise me if war wasnt the ultimate objective of this tory govt. probably was all along. possibly Maggie May thinks she can win the people over by emulating the other maggie. ive got news for you Mrs maggie may.. it wont work./ we dont want our sons n daughters being sent as cannon fodder. we dont have the same pride in our country these days as people did back then and in the 2 world wars. with good reason too. we’ve all on surviving as it is. we have to fight our own battles, you and yours have given us, not yours. fight your own. Rather than “taking back control” we are most definitely going to lose control of a great deal. The pipe dreams of the Brexiteers are just that, …pipe dreams. Regarding your misleading headline I couldn’t care less. I’m more interested in Brexit’s effect on EU tourism to this country. Why is it a “misleading” headline? Or did you just write that to get attention? but who in their right mind will want to visit this backward pariah of a country once we have left the EU. The headline is correct its people wanting to leave when we sink down in to the mess created by leaving.